Everyone who's been to a midway knows the format of skee-ball; for a couple bucks you ramp some wooden balls into scoring targets in order to get tickets to exchange for prizes. 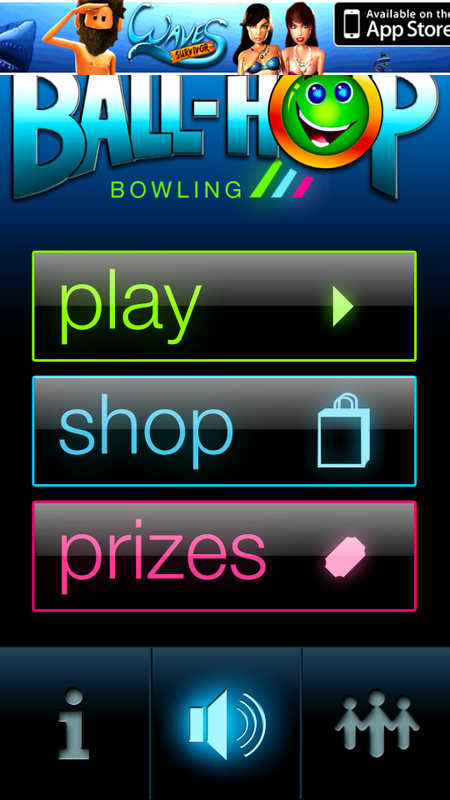 A new game for Android, Ball-Hop Bowling, recreates the whole experience, rip-off and all. Maybe "rip-off" is a bit unfair: Ball-Hop Bowling is free, and gives you the "true" skee-ball experience without having to pay. However, if you're looking for any type of progression in this game beyond the default table/ball, be prepared to shell out some cash, or at least hours of your time. 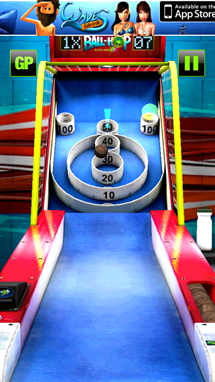 Like real skee-ball, Ball-Hop Bowling is a quick experience; your nine balls seem like a lot, but they can be blown through extremely quick. 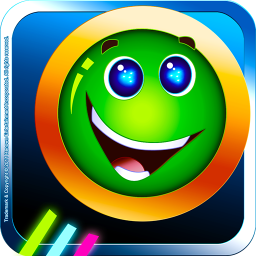 However, your score can be augmented in a number of ways by hitting certain targets: power-ups that will multiply your score, give you an extra ball, or give you extra tickets float around the play area, shifting once you've gotten one of them. Once a game is finished, you're rewarded with a number of tickets, but the system's not without its flaws. 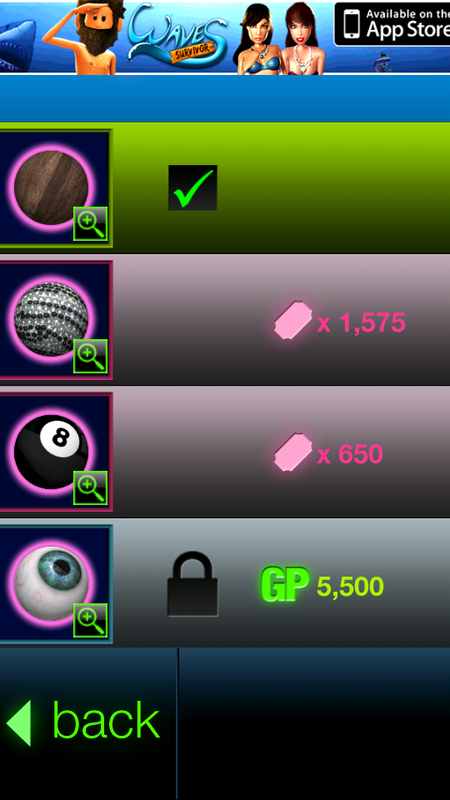 The main allure of the ticket system is that you can use it to buy different ball and table skins. 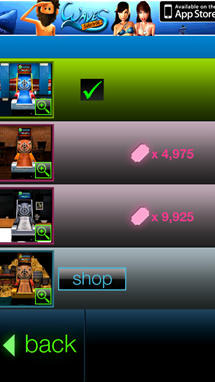 However, the amount of tickets you get in a game (~10, on a good game) and the prices to unlock the goodies (4,975 and 9,925, respectively) are so far from each other that it's unlikely that you'll ever hit the milestone. But that's okay: Ball-Hop Bowling offers a way to buy these skins with actual money, mostly for $0.99. 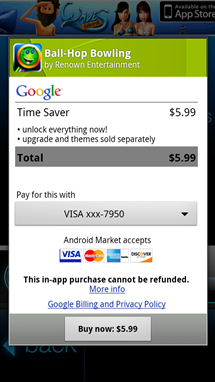 It also gives you the option of a "time saver" unlock, which gives you all present and future DLC right away. 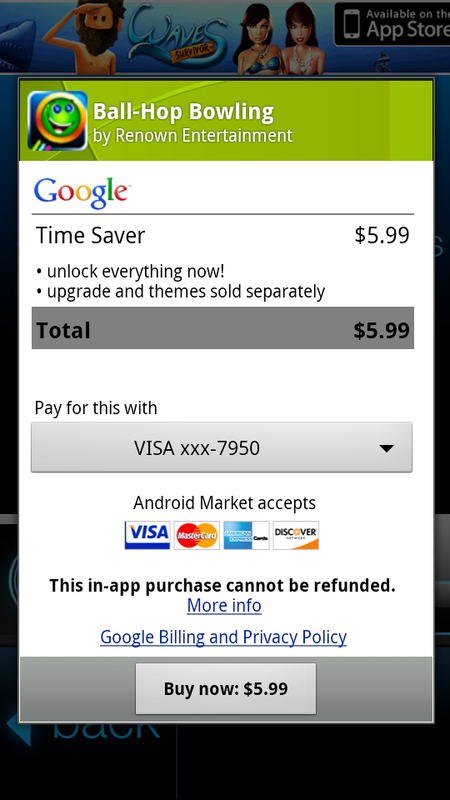 This is a disparaging $5.99, which seems like a lot to pay for just skins. 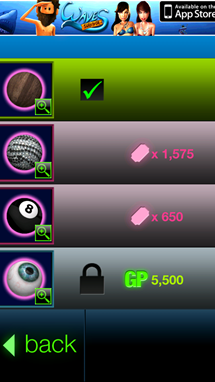 So, basically, what Ball-Hop Bowling is hoping to do is make getting content by "free" means so difficult that you'll bite the bullet and get the paid version, which really doesn't add anything to the game besides extra skins and the removal of the ads at the top of the screen. Notably, the ad that cuts off the game's title screen, can interfere with your finger-flicking, and it advertises an iOS game, to boot. 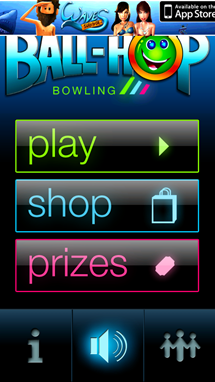 I'm still going to give Ball-Hop Bowling a half-hearted recommendation, as it's free, the physics are pretty fun and it's really easy to go "one more game!" It's definitely something very easy to pick up, and is playable in short bursts.